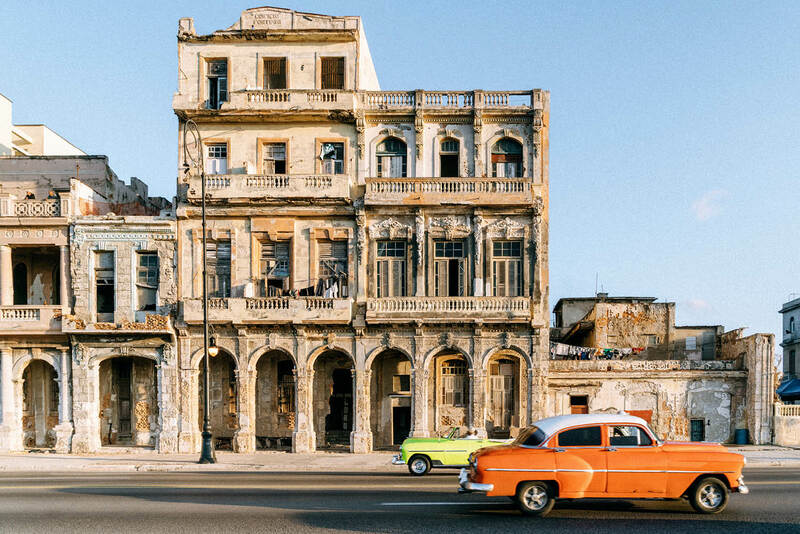 From stepping back in time to explore the hallowed streets of Old Havana to enjoying the best mojito of your life on a beautiful Caribbean beach, a trip to Cuba is the experience of a lifetime. Whether you’re a backpacker on a budget or a luxury honeymooner, Cuba has something to suit every travel style. But in saying that, it’s important to have a solid itinerary mapped out before you leave. Here are our top tips on making the most of your time in this intoxicating country. This isn’t really a turn-up-and-book-a-hotel kind of place. 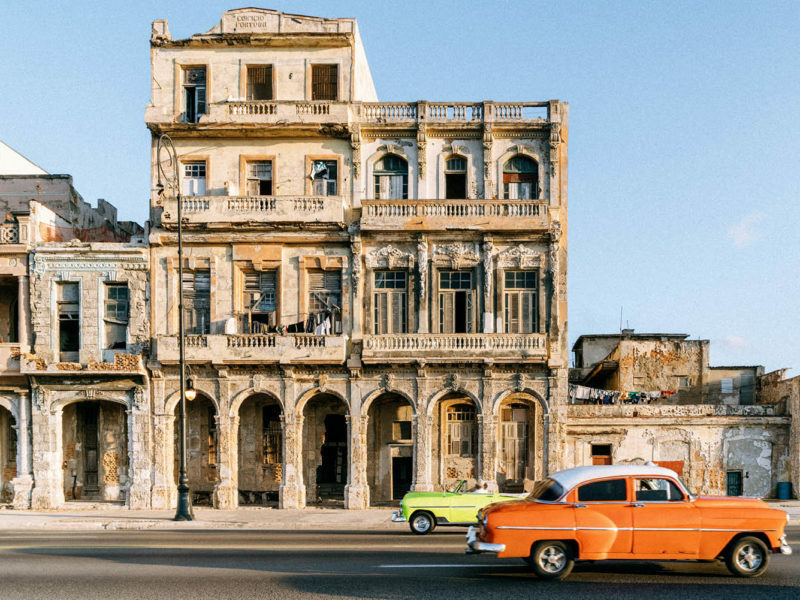 Making changes to holiday plans last minute isn’t always easy in Cuba. With minimal internet access and certain go-to travel sites like Airbnb blocked once inside the country, simple tasks like booking last-minute accommodation suddenly become annoyingly difficult. First things first, download the apps. No, I’m not talking about Tinder, rather Triposo, CityMaps2Go and Google Translate. These three apps saved our behinds a number of times and all work perfectly offline. Triposo is like your portable travel guide. It grabs information from Wikipedia, Wikitravel, and elsewhere, and bundles it all together into a useful, easy-to-use offline guide, which you download prior to arrival. After you’ve downloaded the data pack of the country you’re heading to you’ll have activities, hotels, restaurants, maps and basic directions, all at your fingertips. Next, we recommend CityMaps2Go. Pretty similar to Triposo, as in you download a data pack prior to arrival. In this case we downloaded the entire road map of Cuba, making navigating the country super easy and convenient. And lastly, Google Translate and Duolingo. New Year’s Eve 2017: among some other rather vain resolutions about chiselling a six pack and whitening my teeth, I vowed to learn Spanish for my impending visit to Cuba. Via Duolingo I proposed to spend at least half an hour each day learning the basics. Come June and my New Year’s resolution was about as complete as Donald Trump’s wall, as I’d only reached a 7 per cent fluency rate. So unless someone was saying hello or goodbye, my Spanish was pretty useless. If in doubt just use Google Translate. Now for the fun part. We split our trip up into two parts. Landing in Havana, we allowed ourselves five days and then bussed down to Trinidad for four days, then back to Havana for the final two. Touching down in Havana, we are buzzing and excited to sink our teeth into the city we’d read so much about. Lo and behold a 1950s Chevrolet Bel Air – slightly beat up but seriously impressive – greeted us on arrival. Eagerly jumping in, our authentic Cuban experience had started straight off the plane. As our driver began to leave the airport we both instinctively reached for the non-existent seat belts, which I have to admit took some getting used to. The option to jump in a safer more modern car is always there, but make sure you negotiate the price before you commit to the journey. We booked our accommodation – a casa particular – in the heart of the old town and found it via Airbnb. A common accommodation option throughout the country, a casa particular is a privately owned house that rents out either rooms or the entire place to visitors. It had a bed and breakfast-type feel, with hosts offering meals, assisting with transport and giving local tips and tricks on what to see, eat and explore. For this leg of our journey, we booked a casa which consisted of the entire place, rather than staying with a family. Alternatively there are loads of hotels to stay in but most are rather expensive and government-owned, which doesn’t really help the Cuban people. We also found that hotels just kind of gave themselves their own star rating. Most claiming to be four star-plus, when in actual fact their fans don’t work and their light switches may electrocute you. So do your research. We were taken back in time as kids played soccer in the street and old men played checkers on the side of the road. Horse-led carts cruised through the narrow alleys carrying fresh fruit and vegetables, while a man went restaurant to restaurant trying to sell today’s catch, lugging huge fish on his back. The absence of wi-fi – something we’re increasingly taking for granted in cities today – means that the streets were full of interaction, making for an extremely buzzing and lively city. Havana, the capital of Cuba, is one of the oldest cities in the Caribbean. ‘Old Havana’ is a UNESCO World Heritage Site in 1982. From Plaza Vieja, a giant square filled with bars, restaurants and music to Obispo Street, which runs all the way into one of Hemingway’s favourite bars, El Floridita, you’ll smash your 10,000 steps before lunch and that’s only scratching the surface. The Malecón photographs better than a sunset over Waikiki and comes jam-packed with people-watching entertainment. The eight-kilometre strip, which runs from Havana Harbour in the old town to the central business district of Vedado, is loved by both locals and tourists, who set up camp in the late afternoon to farewell the Caribbean sun with a rum and a rumba. Find a good spot, BYO rum and don’t forget your sunglasses. With white sand and clear blue waters all around, this coastline is about a 30-minute taxi ride from Havana and will cost you about 25 bucks each way. The hardest part of your day will be deciding which beach bar to commit to. The whole strip consists of small bars offering refreshments, beach umbrellas and chairs. Relax as the ocean laps on the shore accompanied by the distant sound of locals trying to sell hats, bracelets and massages. Cuba is synonymous with salsa, and at night most Havana bars and nightclubs turn into salsa clubs. It’s up to you to ask for a dance. This might sound intimidating, but I found that more often than not, the friendly pros were willing to help a goofy westerner with two left feet like me learn the basics. Four words…Gran Hotel Manzana Kempinski. Yes it’s a mouthful, yes it’s expensive and yes the elevator is slightly frightening, but save this for your last day in the country as you unwind and relax. Disclaimer: we did not stay here – it’s around $400 USD per night. We did however pay $60 USD to use its facilities, which include a panoramic pool terrace, where the city views and the infinity pool become one, a gym and state-of-the-art day spa that includes daybeds, an ice bath, a steam room, a sauna, a massage spa, relaxation areas and free fruit and water. I left feeling a million bucks and about five years younger. If you’re an Instagram advocate, Trinidad will get your wall buzzing faster than a bee hive. This picturesque preserved colonial town is absolutely gorgeous, with brightly coloured buildings and cobblestone streets. Not to mention being located on the foothills of the Topes de Collantes national park and just 15 minutes from beautiful Playa Ancón. Getting to Trinidad involved a six-hour bus ride from Havana and was actually pretty easy. We once again stayed at a local casa particular but this time opted to stay with a Cuban family, which gave us an interesting insight into everyday life. The host also did our washing, which was super handy. While this this town offers a variety of activities for both the evening and during the day, it relies heavily on tourism, so you find yourself being almost overwhelmed by local touts. I would recommend spending three to four days here. A day for the beach, a day for the national park and waterfalls and day to explore the town (where you’ll most likely end up back at the beach). The gorgeous sands of Playa Ancón are about a 15-kilometre bike ride (mostly downhill) from the centre of town. The ride takes you through some truly beautiful countryside and small towns, giving you the option to stop and swim along the way. You’ll be dodging small crabs that scurry across the road as you embark on the journey to the main beach. Once you’ve arrived, you can park your bike and (just like the beaches in Havana) hire a chair and umbrella for the rest of the day. Within an hour’s drive of Trinidad, there are hundreds of waterfalls and hikes ready to be explored. Vegas Grande is about a six-kilometre hike and a little hard to get to, but leads to one of the most picturesque waterfalls I have ever seen. We got a local taxi driver from town to run us up the mountain and wait for us as we embarked on the journey. If you’ve seen The Beach, it’s pretty close to the scene when the three explorers struggle through the bushland to finally emerge into paradise. We were lucky enough to have it all to ourselves– besides the Cuban lifeguard who was napping anyway. What would you get if Calvin Harris went hiking and stumbled upon a huge cave? A nightclub of the most unique persuasion. Disco Ayala is a five-minute walk from the centre of town and kicks off at about 11pm. This giant cave has been transformed into what is probably one of the coolest nightclubs in the world. Descending down the winding staircase, you’ll find yourself suddenly on a dancefloor surrounded by dripping walls, disco balls and great music. Like Havana, Trinidad has winding streets and alleys that could be explored for hours. Wandering around the cobblestone streets, it won’t be long before you’ll find yourself rather thirsty. The staircase next to the Casa de la Música offers fresh mojitos and live music and also acts as a gathering place for many tourists as it’s a wi-fi hotspot. Don’t forget to wear flats. The cobblestones are hard enough to negotiate even before adding alcohol.